If you have attended a tasting event held by the Greenmarket, Edible Manhattan/Brooklyn or Just Food, chances are you’ve seen Jacques Gautier. He’s the guy flipping fresh masa tacos before the longest line of people waiting for a bite. Jacques also does this (as well as preparing a hearty menu of fresh, seasonally-inspired Latin cuisine) at his Park Slope restaurant, Palo Santo. As the chef/owner/rooftop gardener of the restaurant, he has a lot on his hands everyday. Yet he still finds time to engage in community events and cooking classes, such as a recent class at Ger-Nis Culinary & Herb Center in Gowanus. When I heard the name of this particular class, “Pre-Colombian Cuisine: Indigenous Foods of Americas,” and its instructor, I knew I had to finally check this place out. 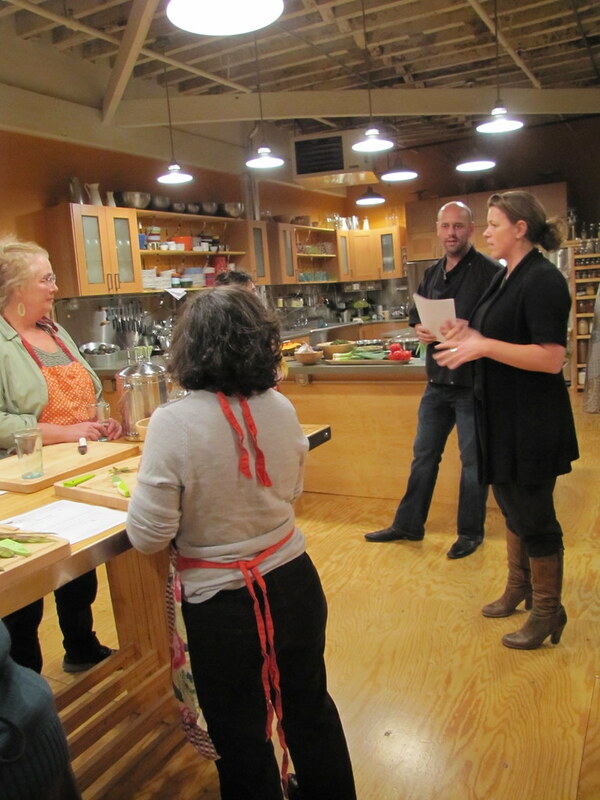 Nissa Pierson has extended her range of services in fresh, sustainable food to include a variety of fun, interactive classes for people of any level of cooking expertise, in a cozy classroom kitchen. 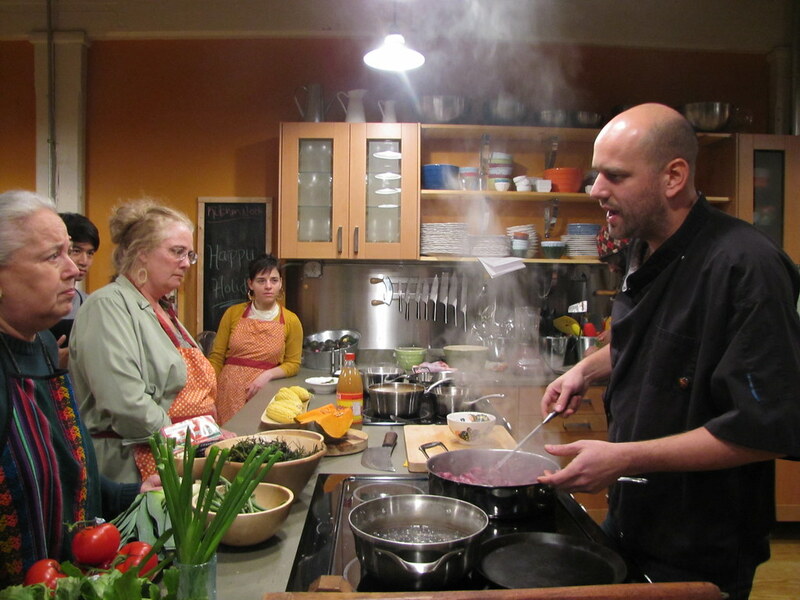 Still a distributor of food products, Ger-Nis now has a full calendar of events and classes, often featuring local chefs and artisans like Jacques. When I walked into class, the place already smelled like roasted tomatillos and poblano peppers. I found my friend Noah in the kitchen, peeling the skins of said peppers and placing the slippery flesh into a blender. This would be for Chef Jacques’ green mole sauce. Mole, he explained, can be any number of sauces, even though we tend to think of it as a thick red, earthy-flavored one. For instance, “guacamole,” made from fresh avocadoes, is one. This green mole would accompany a delicious braise of turkey legs that Jacques was just getting started on. As the class went on, Jacques filled us in on how many foods native to the Americas have been embraced around the world — chile peppers, potatoes, tomatoes, etc. 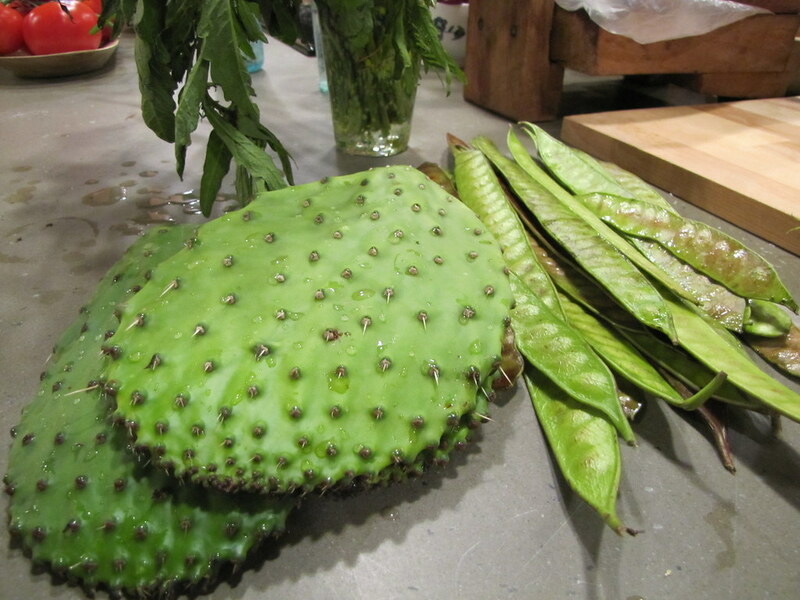 With the dozen or so students in the class, we kept up a fluid conversation about these “New World” foods, including those ones that haven’t become so popular afar, like cactus, which we were slicing up for one dish. We split up into groups to prepare the four recipes Jacques was teaching us for the night, and reconvened once it was time to make the tortillas. 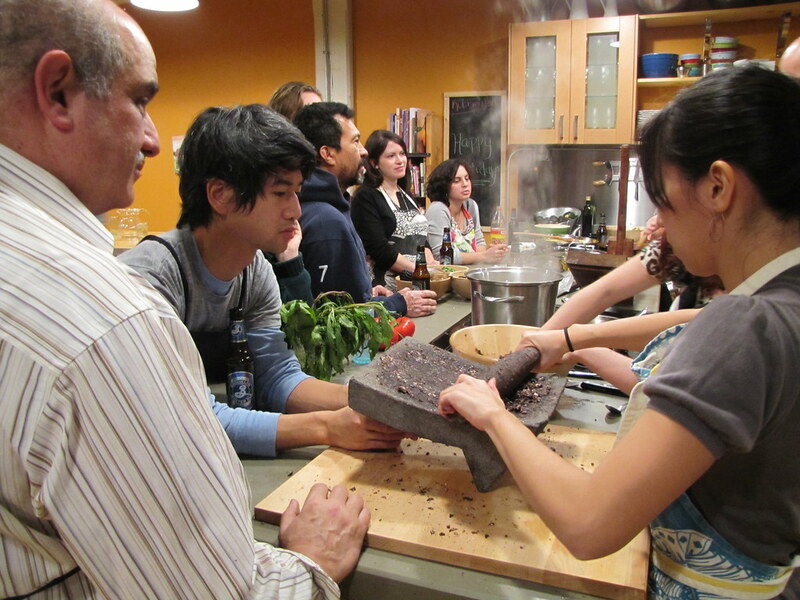 Using whole blue corn kernels that had been nixtamalized, soaked and cooked in water for about an hour, we ground up rustic masa dough using a traditional metate y mano, basically, a stone rolling pin and surface. It was pretty arduous work, but after everyone had given it their try a few times, we had enough workable masa for everyone to press a tortilla out of. Jacques doesn’t actually use a metate y mano to grind up his corn every day, but he does make all his tortillas from fresh masa at his restaurant. And over the past year or so, I’ve had the chance to try these as finished tacos with fish, pulled pork, and numerous other things at the many festivals that Palo Santo has participated in. It was humbling to discover how much effort is put into just this step. By the end of the class, we all had the chance to sit down and dine together. Altogether, we had a rich and spicy slow braise of venison, a bright and bubbling dish of turkey legs with green mole sauce, a corn, squash and lima bean succotash with clams, fresh tortillas and guacamole. It was a vibrant feast, and I’ll have to finally check out Palo Santo sometime to have more. You’re like, everywhere in the city it seems. Any time there’s an event focused on local food, you’re serving up the best small bite. 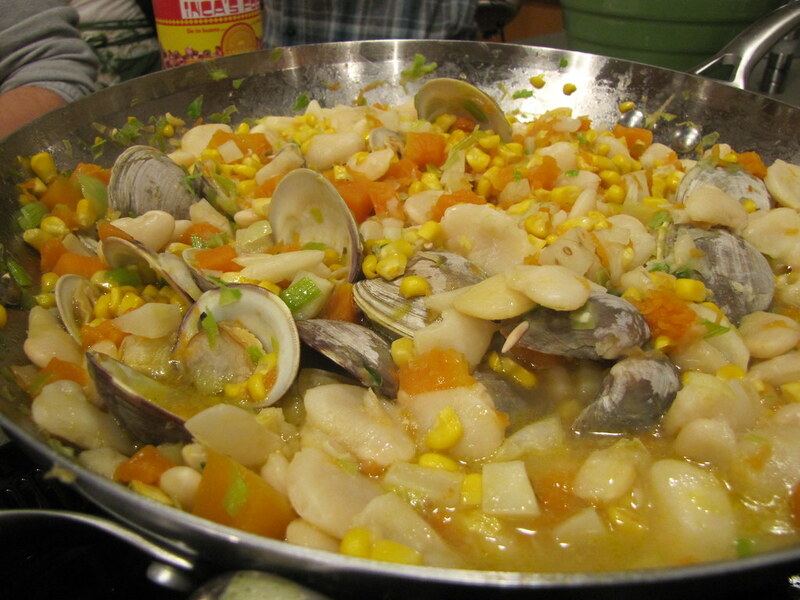 Why do you think it’s important to participate in these community food events? Local food tasting events are both my primary form of recreation and a great way for me to promote my restaurant while at the same time giving something back to the community. Do you have more classes or other fun that you’re planning to do at Ger-Nis? As far as upcoming events at Ger-Nis, we have a supper club planned for January 23. Nissa and I also spoke briefly about a class on Homemade Hot Sauces. How do you find time to keep your restaurant going at the same time? I live at my restaurant, so I save time and fossil fuel by not having a commute. You would be surprised by what you can do with an extra 10 hours a week! What do you hope people will walk away with when you do classes or demos at places like the Greenmarket? Again, I do the demos at the Greenmarket to promote my restaurant, but I also get a different kind of satisfaction from doing them that I can’t get from cooking at the restaurant. 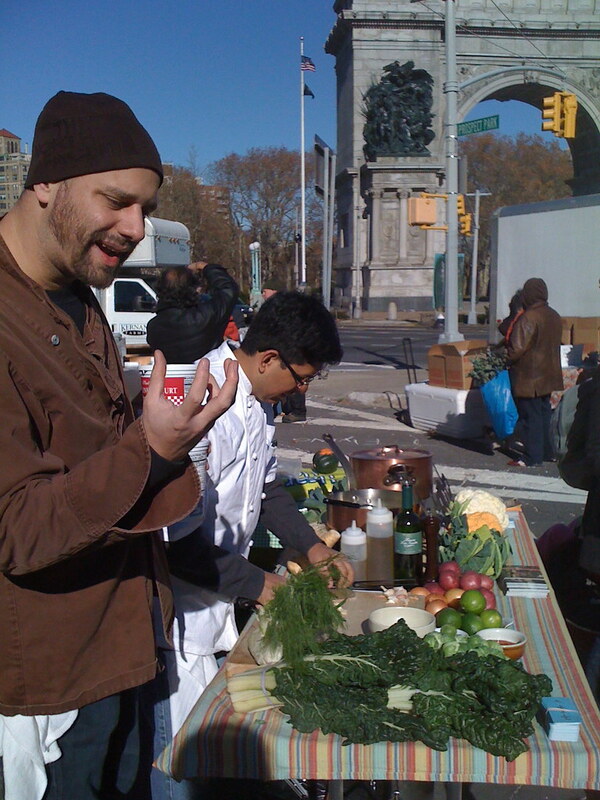 The Greenmarket cooking demos are free and open to anyone. I get a much more diverse crowd then I could ever get at Palo Santo… One of my best memories from last summer’s demos was during strawberry season. I had a large bowl of strawberries sitting on the demo table and that drew a crowd of neighborhood kids who were so incredibly happy to be able to dig their hands into a huge bowl of berries and eat as many as they wanted. I remember one kid who ate about a kilo of berries while his mom ran her EBT card. He left the table with red stains on his shirt and the biggest smile on his face. I later saw them buying a few of the ingredients that I had been using in the salad that I made that day. Knowing that I am encouraging Crown Heights families to spend their EBT on fresh, health, local food makes me feel as if there is more benefit to the community and purpose in what I do. How is your rooftop garden doing in the dead of winter? Any grand plans for it once it thaws out? The only thing alive right now are the bunnies… We will start planting again in the late winter. Hearty greens will be the first thing to grow in early March. You seem to seamlessly weave different Latin cuisines as well as European cooking styles in your food — do you find this a challenge, or do you find it easy to incorporate so many so-called cooking styles at once? 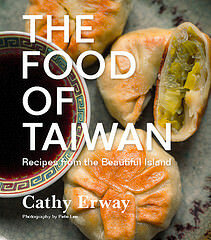 I grew up in an ethnically mixed family and I have done a good amount of traveling throughout my life, so the food that I cook reflects my own genuine experience. I draw from a wide range of influences… I get why someone from the outside looking in might misunderstand my cooking and label it as “fusion” or see it as an awkward hodgepodge, but I have never seen it that way. All of my dishes have stories and cultural relevance -if nothing else they represent the Latino Diaspora in New York City. As a kid I was lucky enough to have parents that took me out to eat at decent restaurants. My mom gardened and cooked at home too, and that is probably why I have such a fascination with growing my own ingredients, but going out to dinner and watching chef’s work in an open kitchen made a huge impression on me when I was young. It was at a very early age that I began to fantasize about one day being that dude in the tall white paper hat. I liked a recent article by Mark Bittman in which he said if he had to name three best basic recipes, they would be, “a stir-fry, a chopped salad, and the basic combination of rice and lentils.” What would yours be? Here’s a great recipe for that! Chef’s note: A good summertime recipe for all types of grilled meat and game. This recipe makes enough for 12 large steaks. It is something that keeps well in a jar in the fridge for at least a few weeks. Wash, de-stem and chop all herbs. Chop chives. Peel and chop garlic and shallot. Remove seeds and chop chile. Combine everything. Cost Calculator, Health Factor and Green Factor ratings respectfully omitted for guest recipes.